Most experts on online security and SEO optimization also recommend that you stick to these top vetted domain registrars. This is because lesser known and smaller registrars such as Moniker can leave a footprint when interlinking your own websites, which will of course make it much easier for Google and other search engines to tank your rankings based on what they perceive to be as search engine manipulation tactics. 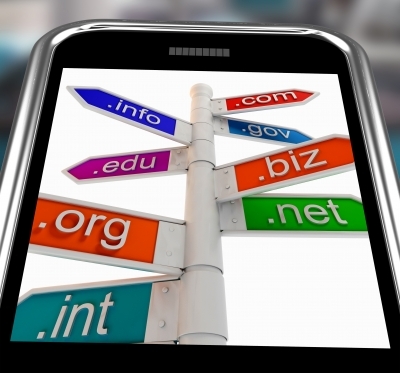 Domain name registrars that provide free Whois privacy service are attractive choices if you want to improve your SEO. Using registrars like Dreamhost which do not have free Whois privacy service can makes it very easy for your websites to generate footprints, which basically make interlinking a far riskier proposition. You can scan the Web with “free Whois privacy registrars” as a search term to see which ones are currently offering it. If you do not like the registrars that give out free Whois privacy service, then at least select another registrar that offers reasonably cheap rates for the service. When the issue of Stop Online Piracy Act or SOPA emerged, registrars were split between two camps: Those that supported it, and those that opposed it. As a website owner, you will be more at ease siding with the latter camp. SOPA oppositionists such as Namecheap have shown to value Internet freedom above all else. By extension, this means that if an SEO competitor sends a copyright or spam complaint to maliciously bring down your site, anti-SOPA registrars are more likely to check out whether the complaint is valid before shutting down your website. Compare this to pro-SOPA registrars who prioritize business efficiency and profits, and who are more likely to just switch off your site to avoid all the hassle and costs of checking the complaint’s validity. Sure, we all know the advantages to keeping domains to a single registrar. But these are mostly cost and convenience perks. But from an SEO perspective, it is far more advantageous to spread out your domains over multiple registrars. This not only reduces footprint (which is a bane for SEO competitiveness) but it also reduces a lot of risks such as domain hijacking and getting locked out of your account by isolating the problem on a single domain. Domain registrars also have special discounts that you can take advantage of separately, making the cost argument for using a single registrar quite immaterial. Ask yourself: Are tens or hundreds of dollars in savings worth the risk of keeping your domains in one basket? While the location of a domain registrar will not affect SEO, the host location likely will. An SEOMoz discussion highlights the need to consider host location based on the country your domain is targeting. This is because Google uses geotargeting for websites, and server location is one of three confirmed factors that affect how geotargeting is implemented, along with other hints and signals such as addresses, phone numbers and local language used. A .uk website is best hosted in the United Kingdom, and the same goes for other country-targeted websites. But if your website is targeting an international audience, then this is not as important a consideration. Check with your domain registrar, especially in cases where you are also availing their hosting services as part of a package, where their servers are located before biting into that 2-for-1 registration-and-hosting deal. Greg Mosk is editor at Domain Raccoon and started up after years or working in the domain name industrying, enduring a personal struggle to make the correct choice of registars. After numerous errors over the years, Greg decided it was time to share his experiences through this interactive domain registrar comparison website. This entry was posted on Monday, June 3rd, 2013 at 10:15 am and modified by WebMaster View on Friday, March 21st, 2014 at 3:31 pm. You can follow any responses to this entry through the RSS 2.0 feed. Responses are currently closed, but you can trackback from your own site.